A 2017 Gartner report found that 81% of companies expected to be competing mostly or completely on the basis of Customer Experience (CX) within two years. Now that 2019 is here, are you taking time to make sure the customer is at the heart of your brand experience? Whether via service interactions, product quality, or overall brand, experience has become the deciding factor that determines whether or not a customer will do business with a company. In order to capitalize, small businesses and startups looking to grow must build a culture that cares about the customer. And to really succeed, there can be no fake-it-till-you-make-it. Customer experience has to be a part of your company’s DNA. 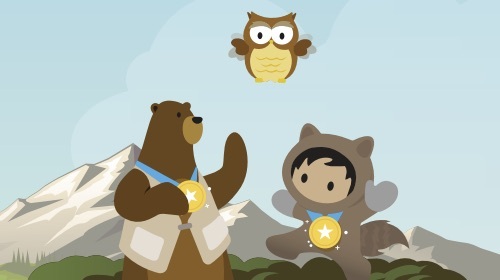 As the Regional Vice President of Customer Success at Salesforce, I’ve worked with thousands of small businesses, so I know there’s no exact formula for success. But what I can tell you is that the thing high-growth companies have in common is that they listen and put customers first. Here are five ways I’ve seen small businesses realize tremendous success by putting customer success at the heart of their companies. If you want to build your brand through satisfied customers, you need to start by ensuring satisfied employees. Why? Because an employee’s experience directly affects a customer’s experience. When employees are happy and actualized — and this is especially important for smaller businesses with smaller teams — it compounds their desire to help others. Besides, a “culture of caring” shows no limits: You cannot legitimately care about customers if you don’t care about the people serving them. While these two things are related, they’re definitely not the same. Customer service is a support functionality, designed to answer questions and help customers through specific issues. Customer success, on the other hand, is a proactive movement designed to solve overarching challenges and build long-term success. Customer Success might seem like a nice-to-have for small businesses, but both functions are vital on a customer’s hierarchy of needs. To get the most out of them, be sure each is well defined in terms of goals, roles, and responsibilities. Customer success stories combine the subjective power of storytelling with the evidence-based pillar of hard data. They allow you to highlight innovation, real-world use cases, and impressive results that can make your product more tangible to potential customers. More than anything else, though, customer success stories demonstrate the company’s commitment to the success of its customers, staying connected from inception to results. On top of all that, they’re a cost-effective way to show potential customers why your small business is a better choice than a larger competitor. It’s important to note that As you write your customer stories, take care to consider how each customer defines success. Don’t put it your terms and metrics -- put it in theirs. You’ve got to connect your marketing, sales, and service data to provide the best service possible. Customers don’t care which department they reach when they need help. They simply want their questions answered and their problems resolved. The solution is to bring all interactions and data into one system. Only when teams work together can they provide the kind of personalized experience that keeps customers coming back. 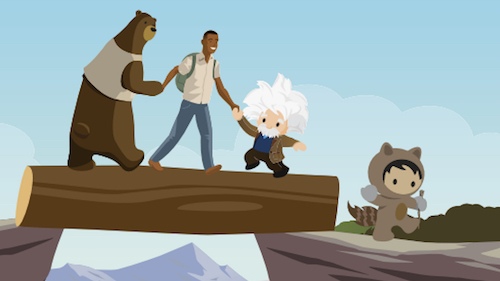 Salesforce Essentials is CRM built specifically to help small businesses connect their systems, delight customers, and grow faster than ever. 5. 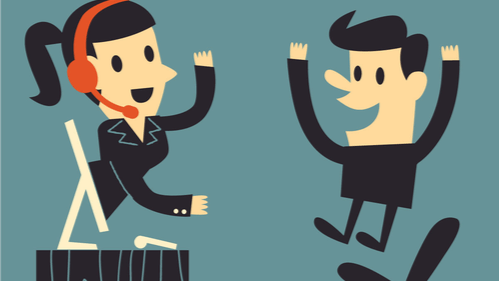 Let customer service shape your sales and marketing efforts. No small business can afford to take customer relationships for granted, and the best way to do that is to build them right into your sales and marketing strategies. Consistently excellent customer service gives you a unique selling proposition, repeat business, and most importantly, trust. You have a 60-70% chance of getting business from your existing customers compared to only a 5-20% chance of selling to new prospects. Customers have no idea how many channels a brand offers, and really don’t care. They just want to communicate on the one that’s most convenient for them. It’s not enough anymore to have a great product. To earn and retain your customers, you have to offer personal, ongoing relationships and a fantastic customer experience. But with the right strategy, the right team, and the right CRM software, you’ll be building brand loyalty in no time. Salesforce Essentials helps you find more customers, win their business, and keep them happy so you can grow faster than ever. Learn more about our small business CRM solutions or follow us on Twitter at @Essentials.